I mark the beginning of every season with a trip to Lush, and this years Autumn/Halloween collection is particularly lovely. There's just something so wonderful about filling your basket full of sparkly, cinnamon-scented treats that instantly makes you feel cosy and excited for sunday nights of pampering and Downton Abbey. 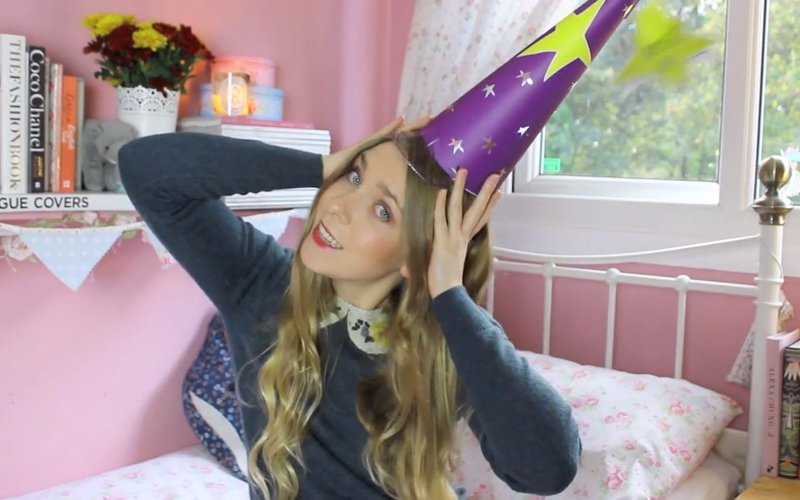 I kicked things off with 'The Wizard Hat' which, shamefully, I had to admit was a gift for myself. 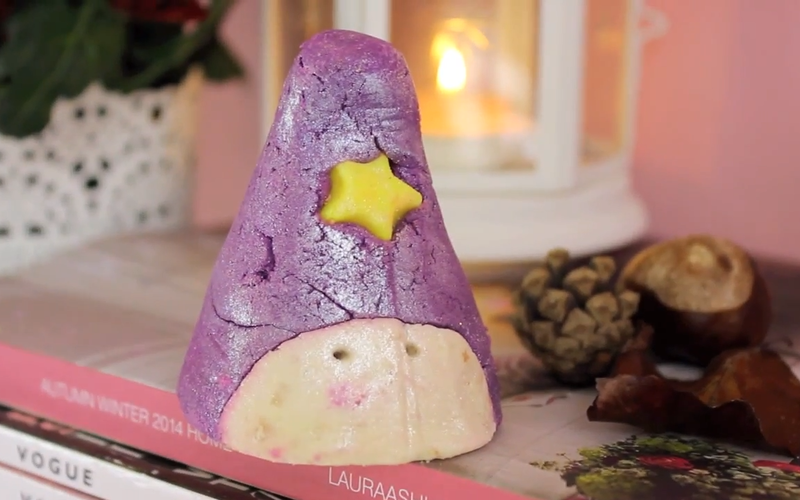 Possibly the cutest bubble bar ever from Lush (competing against the Mumkin and Penguin), I'm not sure if it's supposed to be an actual wizard or just his hat... but he's absolutely adorable. He smells like lavender, juniperberry and fennel essential oils - so he's super calming and ultra relaxing. I can't wait to use this one! WOW! I was told to let this be a suprise, but I couldn't help take a sneaky peak of the demo in store. 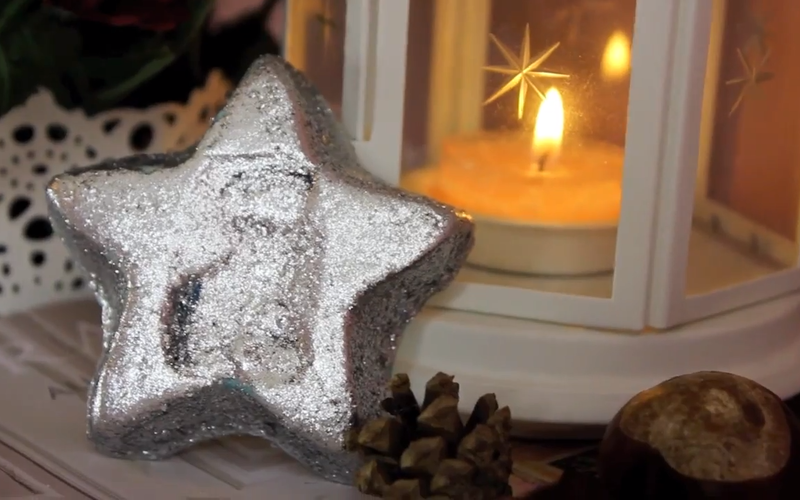 I won't spoil the suprise - but expect glitter, stars and a real shimmering display! I've never used a bath melt from Lush before, but this one sounds truly wonderful... "Crush this shimmering star under running water and watch as your bath turns a deep, calming turquoise and the silvery sparkle spreads to create a magical, shimmering trail of starlight." I think this is going to be such a treat! WARNING! Glitter Overload!! My hands were all orange and glittery after picking this up, so I think this is going to be perfect to use on Halloween before going to a party. 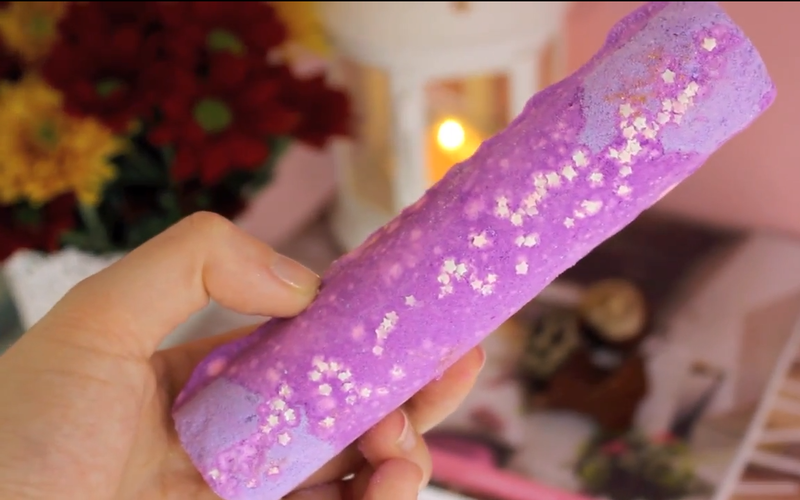 This is new for this year (the usual pumpkin bubble bars had a little face and hat on - very cute) but this is super glamorous and smells really energising. Again, this is going to be a real display in the bath. I'm actually quite the star-gazer at heart, so I immediately fell in love with this bath bomb when I saw it (I'm told it's filled with tiny silver stars). I love that this bath bomb is jasmine and ylang ylang scented, so it's going to be ultra relaxing and calming. I think this is my favourite product I bought and I'm going to save it for a special occasion. 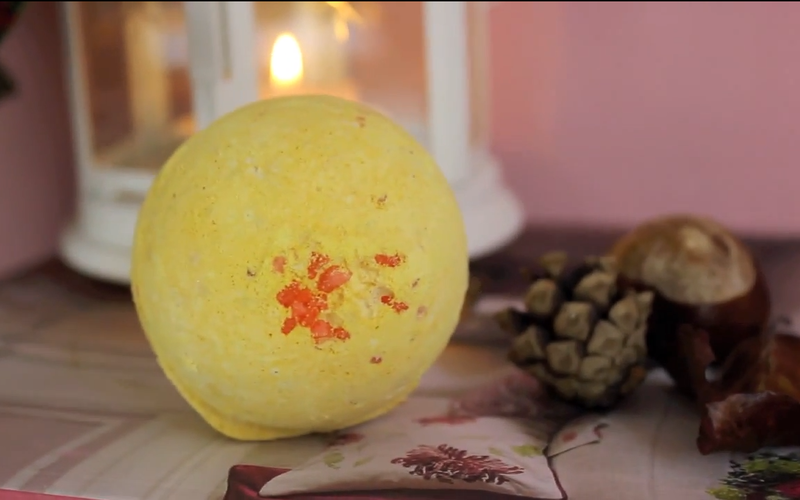 One of my favourites from last year, this is a really cosy and snuggly bath bomb that fills the bath with a heart-warming scent of cinnamon and almond oil. It's only £2.50 too so I don't feel guilty popping the whole thing in, I actually had a cinnamon scented bubble bath which I'd use also! The popping candy crackles in the water so it recreates the warmth of the hearth. Lush also had all of their wonderful Christmas products in also, which was really hard to avoid! But I have a rule not to buy anything Christmassy until November so that I can enjoy Autumn without rushing it. So I'm going to have a real pampering month throughout October because the 1st of November I'm going to go and fill my basket again! 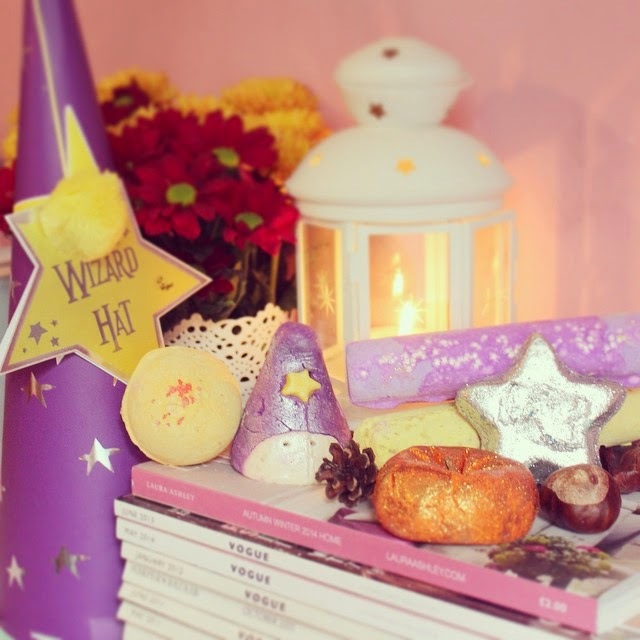 Have you tried any of the Halloween collection at Lush? Which is your favourite? I love all the Christmas products in stores right now...they smell so good. 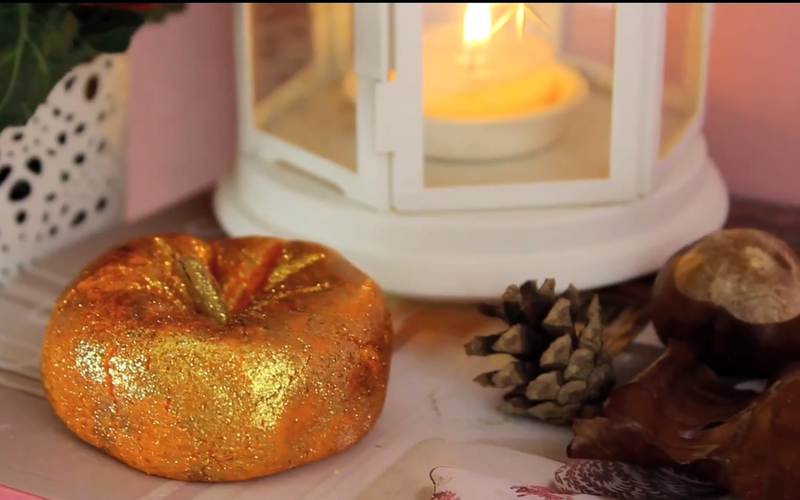 That sparkly pumpkin is really cute! Lovely post! 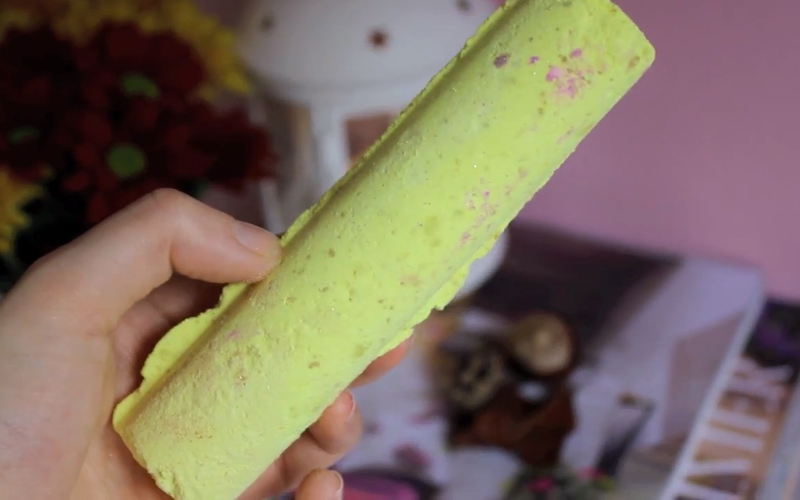 I need to make a Lush order asap!